PHUKET: A local venture in the heart of Phuket is proving to be a haven for resident independent professionals and people travelling to the island on business by providing an â€œoffice away from homeâ€�. 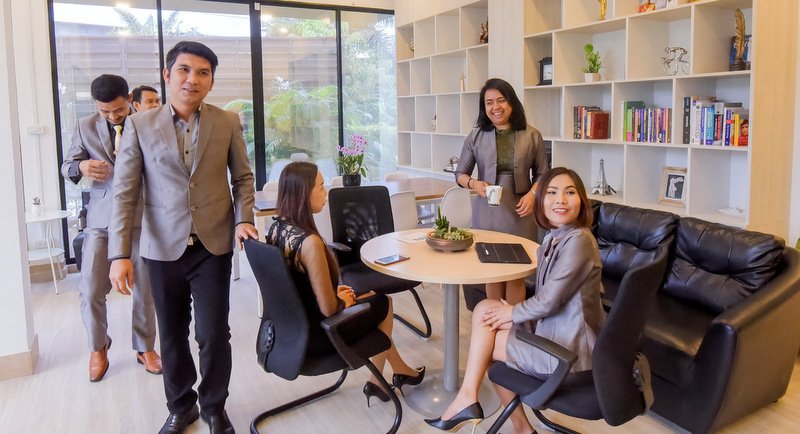 The Pasi Business Center in Srisoonthorn, central Phuket, has become a â€˜second offceâ€™ for many professionals and roving business people on the island. The Pasi Business Center in Srisoonthorn, located halfway along “Srisoonthorn Rd” (Route 4015), between the Heroines Monument and Cherng Talay, strikes at several key target groups. The area is long known for the number of professional foreigners living in residential estates nearby off the main road, and the location is ideal for business folk visiting Phuket’s fast-developing central west coast. 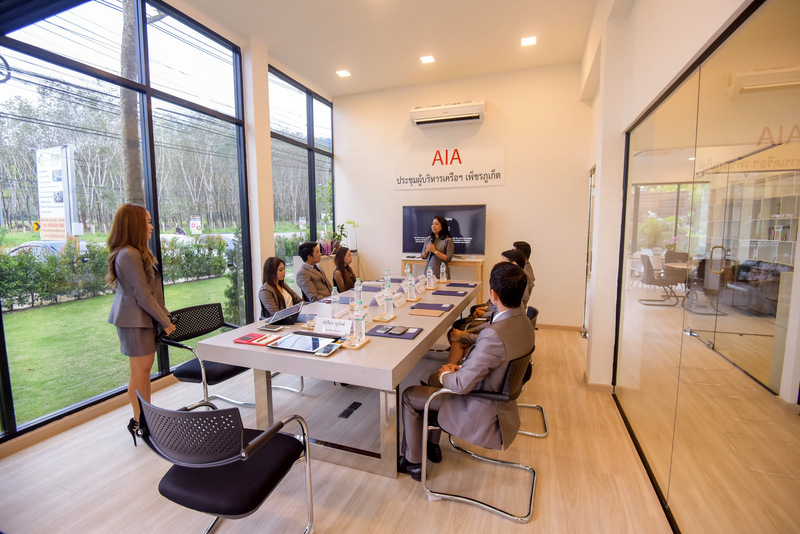 The business centre also provides a venue for professionals looking to avoid becoming snarled in traffic when travelling to use business facilities in Phuket Town. Sasitorn Termpan, Founder and Director of the centre and company, explains, “Our facilities include furnished offices with premium quality furnitures, full office equipments, plants pot and decoration, a co-working space and business lounge with fully furnished kitchen and amenities, two meeting rooms each fully equipped with a 55-inch screen, projector, whiteboard, Bluetooth speakers and microphones. “Our main services are virtual office assistance, virtual accounting, business process outsourcing, business development consulting, offshore/Thai company registration, legal assistance and corporate secretarial services. We also provide a mailbox service and business address service,” Ms Sasitorn explains. The centre opened in July last year after Ms Sasitorn recognised the gap in professional workspaces available in the area. “After working many years in International Business Development and having used business centres in the United States, Hong Kong, Dubai and Bangkok, I felt that Phuket was lacking of such facilities so I thought I could do something about it,” she says. “Phuket is not only a touristic place, many international business men and women come here for work. They now have a place that can provide all the amenities they need for work in an enjoyable environment with premium quality furniture and services provided by professionals. Since opening its doors, the centre has been well received, Ms Saistorn notes. “We have received very good feedback from our in-house customers. They really appreciate the cosy place as well as the assistance and services we provide for them,” she says. “We do our best to keep a high standard of quality of customer relationship, we love our job and we do everything we can for our customers to feel like they are working in their second home. Regardless, Ms Saistorn pointed out that true professionals always leave room for improvement, and that includes leaving the door open to introducing new amenities and services at the centre. “This depends on client demand, but we are willing to expand our business centre to meet the needs of our customers,” she says.